The arrival of summertime is heavenly BUT there are a couple problems… #1) everyone will spend most of their time in front of screens by default if we aren’t careful and #2) without a summer bucket list we’ll blink and this season will be gone. 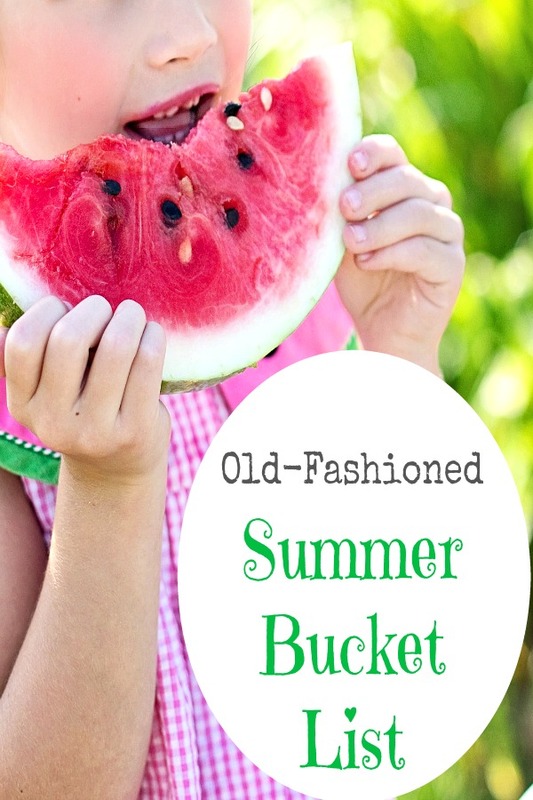 There are just two essentials for the bestest summer ever this year (with free printables)! 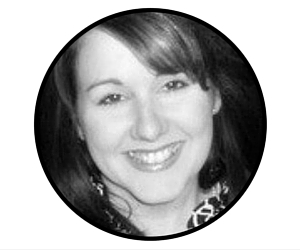 The first essential isn’t an idea from a Pinterest board labeled “Summer fun” (not even close), our planning of kid schedules, or the fanciest theme park vacations known to man. You know what made your summertime and mine amazing? We were left alone! Not literally home all day without supervision. I mean left alone to entertain ourselves most of the time. The secret to a memorable summer for kids is to leave them be for large blocks of time. My parents got it right and your parents probably did too because they didn’t feel the need to micromanage all of our free time. I didn’t have non-stop, scheduled playdates or camps that took up every bit of my summer break. After chores were done, I was granted large blocks of time to explore outside, be creative inside, to get lost in books that interested me, pretend to my heart’s content, and simply play. I wasn’t “helicoptered” all summer. I entertained myself. Consequently, after playing alone or outside with my cousins most of the time, I appreciated those moments that were spent with the adults. Those activities that most of us think of as old-fashioned now. I long to bring old-fashioned back. You probably knew that already though, didn’t you (yep, I’m still dreaming of Mayberry days)?! 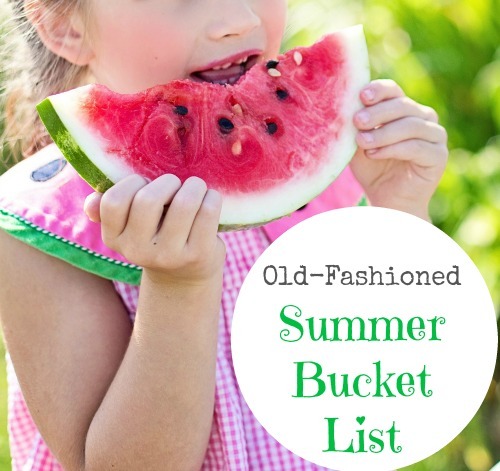 To get this Summer bucket list in a printable, click HERE (if you are already a subscriber, go to your latest newsletter for link and password to the Secret Wife Library of free printables). In addition, the second essential for a great summer is to get kiddos in the habit of doing chores before being rewarding with their free time. I remember relaxed summer days when I was young and my grandparents (who lived next door) got a pool. How fun it was to spend the afternoon tanning to the perfect shade of gingerbread. One little detail I left out though … before I could lounge around each Summer day and be a lazy kid, there were chores to do. Since I was an only child, guess who had to do ALL of them?! Yep, this girl (and you think we were all just spoiled). I learned the lesson that work comes before rest and that life (and chores) go on whether it’s summer break or not. At first, kiddos might fuss about a list but I think you’ll notice they’ll learn to love the sense of accomplishment AND they’ll learn invaluable life lessons. 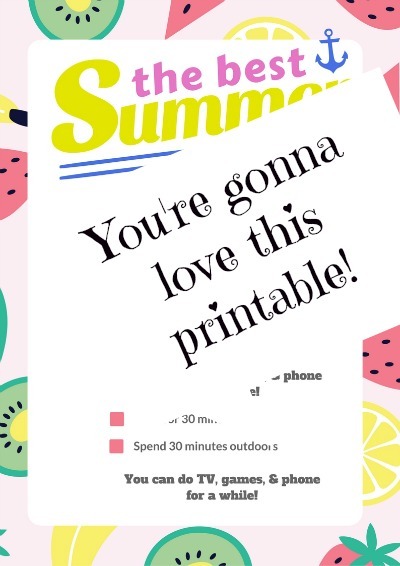 For your free BEST SUMMER EVER printable (and to access the secret library for busy wives), just click HERE (if you are already a subscriber, go to your latest newsletter for link and password to the Secret Wife Library of free printables). What’s #1 on YOUR Summer bucket list? Next Post Florida Campground: How To Enjoy This Spot Even If You Are Scared To Death! This is a great idea! We fall into the too much screen time trap. Going to have to make a list this year! I love this list! Thanks so much for sharing. Also, the last picture is adorable, made me instantly crave a sweet and cold watermelon haha. Love that all these ideas are easy to implement and don’t require a lot of money! I really want to take my boys to a drive in theater this year! I love making homemade ice cream! Also, I am really looking forward to some picnics this year! I remember so many of these from my childhood. GREAT list! Great list! I have a bunch of the old-fashioned ideas on my to-do list already! going on a hike in state park is on my bucket list too! Hoping to make that happen in July! Happy Summer! Agreed! Screen time is such a time thief!! Haha omg I love this bucket list! I need to make one for summer too! This summers bucket list is about different than yours. We have passports to renew and kids to get settled into collect hundreds of miles away. We love playing board games and having game nights with family and friends during the summer! I love the idea of laying in the back yard and watching movies from a projector!!! Thank you for this. These are such fun summer bucket list ideas. What a great list. Brings back lots of memories.